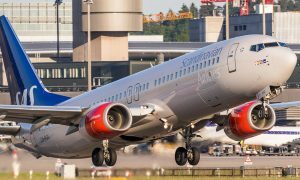 Scandinavian Airlines first departure to Hong Kong takes off today, making it the only airline to fly direct between Scandinavia and Hong Kong. At the same time, SAS is reopening its lounge at Arlanda following extensive refurbishment, which will provide SAS customers with an even better experience when they fly with us. 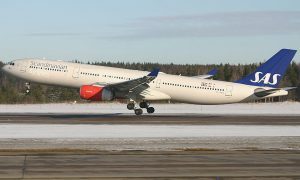 The new route is SAS’s fourth direct connection between Scandinavia and Asia, and SAS is the only airline to fly direct between Scandinavia and Hong Kong. Hong Kong is one of the world’s busiest airports and is the largest in the world in terms of freight. The route has five departures per week from Stockholm and provides excellent connections to cities in Scandinavia and other major European hubs. “Today, we are writing a new chapter in the history of SAS, as we launch our direct route between Stockholm and Hong Kong. We are very proud to be linking Stockholm and the rest of Scandinavia with Hong Kong through a convenient new connection. We look forward to offering a warm welcome on board to all our customers,” says Rickard Gustafson, President and CEO of SAS. Departures from Arlanda on Mondays, Thursdays, Fridays, Saturdays, and Sundays on SK963 at 3pm, arriving in Hong Kong at 7.20am local time. Departures from Hong Kong on Mondays, Tuesdays, Fridays, Saturdays, and Sundays on SK964 at 9.05am local time, arriving at Arlanda at 2.35pm. 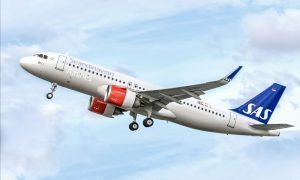 SAS currently offers long haul flights from Scandinavia to New York, Washington DC, Chicago, San Francisco, Houston, Beijing, Shanghai, Tokyo and Hong Kong. During 2016 SAS will open three more flights; Stockholm to Los Angeles, Oslo to Miami and Copenhagen to Miami.